"The future of nonprofit marketing is connecting with supporters where they are and when they care. QR Codes are a link to that future." 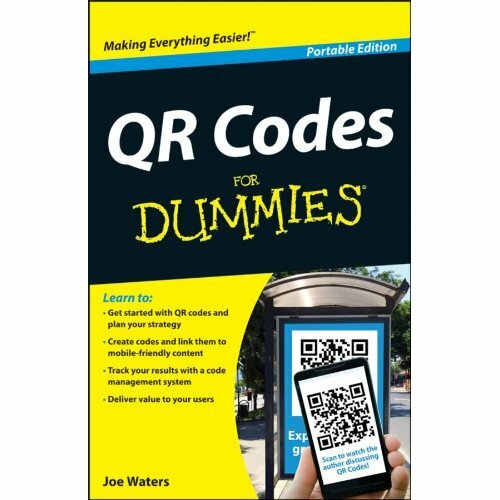 I'm really excited about my new book, QR Codes for Dummies. I'll finish the final edits this week and the book will be out in June. To celebrate finishing the book, I'm throwing a party of sorts over at CharityHowTo.com, the #1 web site for nonprofit webinars on every topic you can think of - sponsorship, auctions, Facebook, cause marketing, etc. Why QR Codes are the start of a mobile revolution that you need to join now! At the end of the webinar, you'll be invited to a 90 minute premium webinar at CharityHowTo.com on April 11th at a savings of 20% off the list price of $69.99. This webinar will dig even deeper into QR Code marketing. I'll show you how to make and measure them, and how to use them to deepen your nonprofit's connection with stakeholders. Included with this premium webinar is a handy guide that will take you step by step through QR Code marketing. But even if you don't enroll in the premium webinar, the FREE webinar will give you a great start on QR Code marketing. Want to learn more about QR Codes? Click on the QR Codes for Dummies cover, or if you are on the go, scan the QR Code on the cover with your smartphone, to watch a video of me talking about my new favorite topic: two-dimensional barcodes!